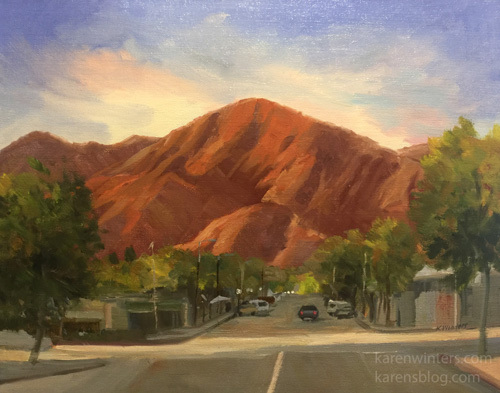 Sierra Madre is a charming little town nestled in the foothills of the San Gabriel Mountains. I love to spend time there, shopping, dining and just hanging out. The community is very supportive of the arts and I like walking in the pretty neighborhood. This painting shows the time of day I like it the best, when the mountains turn from brown to orange to pink with the setting sun.